How much do you love that stompbox? Or, more to the point, how long do you expect to love it? 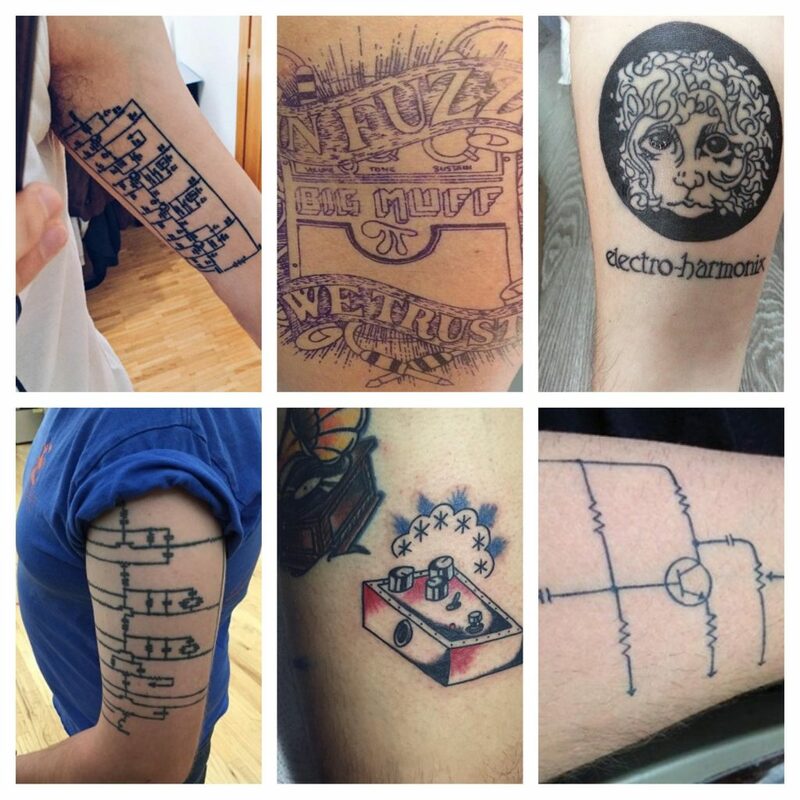 Electro-harmonix owners are a rare bunch, apparently tattooing their favorite boxes with some frequency. There are some sophisticated, elaborate tattoos in the bunch, as well. But I have to say, I think my favorite are the circuit diagrams (and there’s more than one – of different models, even). Respect. We’ve seen some tattoos over the year here on CDM. Moog, of course. My favorite was the Reaktor logo tattoo (though that person asked in the end that we remove it). So tell us what you’re sporting now, of course, for extra geek points. Or, if you really want to have fun, maybe you can come up with an idea where I get tattooed for charity. Wait, that could go badly, might wind up saying “LAPTOP MUSICIANS HAVE NO SOUL” or something. Though… hmm, come to think of it, that could be cool.